management system which will allow you to oversee every aspect of your property and our services. This service is available to you 24 hours a day 7 days a week. With automatic access to your properties' progress, clients will never feel out of the loop, question our services, or be mislead about their investment. We also offer our clients additional services of mortgage, tax and utility payments, dealing with code enforcement, and rental registry violations, conducting routine property inspections, lead violations, and more. Our services are never ending so your headache never begins. Overwhelmed? 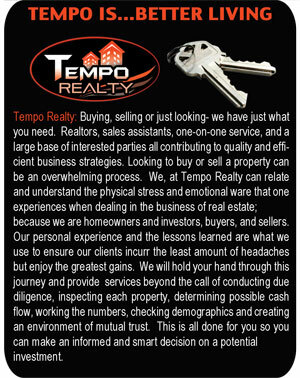 Lessening the stress of managing your property is our goal. We offer many levels of service to ensure your property remains occupied, maintained in an orderly manner and is income producing. 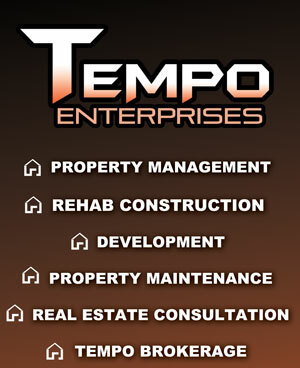 Tempo is your one stop shop. buying, selling or just need advice? We will ensure your investment is a wise one and not financial suicide. Take our hand and we will walk with you step-by-step, conduct due diligence, expand your portfolio and sell those non-income producing units. Ready to relocate to a new home? 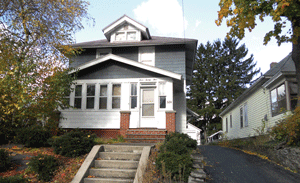 We provide a number of options, in various neighborhoods, with great rental rates and excellent customer service. 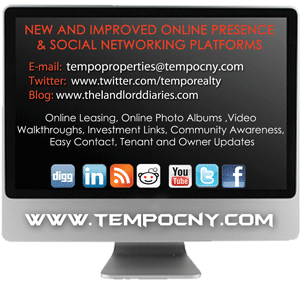 Waste no more time-find an apartment, pay your rent and place maintenance requests all online. 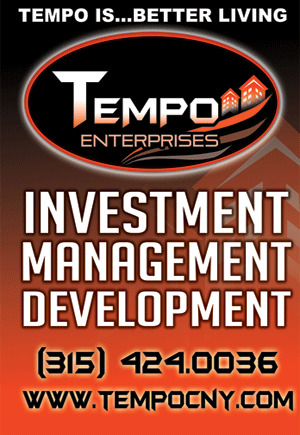 Tempo is committed to utilizing and constantly improving its web and social technologies. We won't be left in the dust!